When finishing high school, I had to make a choice between being and artist or being an engineer. I decided that an engineer would pay better and I could continue art as a hobby. It is difficult to do engineering as a hobby. When I finished graduate school in engineering, I knew nothing about being a manufacture representative. I grew up doing electrical contracting work with my dad working up to water and wastewater plants, so the consulting engineering companies I joined kept asking me to be the project person and the traveler. It was fun, but I had a family and leaving Monday and returning Friday wasn’t going to work long term for me. Then I ran into a guy at a job site, Greg, that changed my life. Greg was a giant in the valve manufacture representation business. A kind man that worked harder than I did and I thought I was a hard worker. He made it his business to know his products and help every single one of his customers, large or small. I worked for him for just 4 years, and it wasn’t long enough. He passed away from his battle with cancer just after 911, and people in the industry still talk about what an inspiration he was and how good he was at taking care of people by doing his job so well. I helped with what I could in the business he founded, but so much of these types of companies rests on the shoulders of the lead salesman. His company closed in the years following his passing, and I was too young to get the attention of the manufactures that went different directions. Enough cities, plants, and utilities asked me to continue on and enjoyed working with me. My parents had started their own companies when I was a kid, so it didn’t scare me so much to try it myself. With my wife as a teacher supporting us as a safety net, I started my own manufacture representative business, Bumgardner Sales & Service (BSS). I did that for four years and started another business as well, Game Cafe. A specialty retail hobby game store. 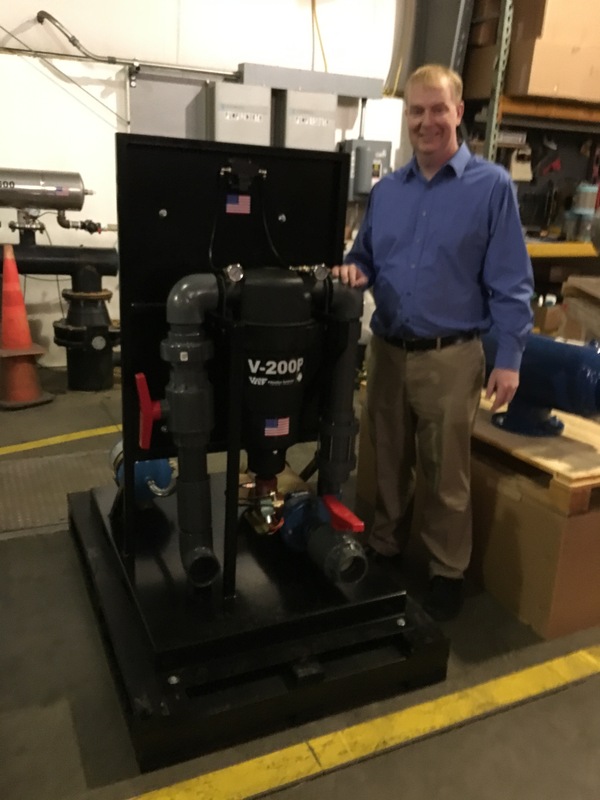 The valve business grew to an additional person, Sandra, and after 4 years I had an opportunity to combine with another manufacture representative in the area. After another 8 years I found that it was time for me to move into something else. I didn’t own anything in the manufacture representative business in the new company, and I was approached with new opportunities that paid more for less stress and better opportunities for advancement. It was a good time for me to make a change. I went into the fluid power industry and worked for a great company for another year and a half. I did miss the people and the challenges in the manufacture representative business, but I was still dealing with some of them in my new career. Then along came an opportunity that I wasn’t expecting. Val-Matic was looking for a new representative for my area, and a number of people had given the company my name, recommending me. I talked with the fluid power company if they were interested in doing it with me, but it didn’t really match with their business model. I had been approached with other opportunities, but this one had no company to buy out, I was very familiar with the company, I had represented them in the 90’s at Greg’s company, and they focused on innovation with their engineering staff and all the products they were involved in now. With Val-Matic on board with me, a number of companies that hoped I would get back into the business some day asked me to represent them as well. Helping people is what my company and my life is all about. I’ve learned that helping people with the correct solution, even if it isn’t yours, will lead you to enjoyable work that pays a good living. God has watched over me for so long, and I feel very blessed for each day he has given me. I still paint, draw, and do art as a hobby. If you ever have me draw out a valve schematic or equipment setup, you will know why it looks pretty good!